Mangakino Hotel's Triple Room is ideal for families travelling together - there is one comfortable double sized bed and 2 king single beds, your own ensuite, Freeview digital TV, fridge, tea and coffee making facilities, WiFi and access to the hotel outdoor dining and garden bar areas. Mangakino Hotel's Family Room is ideal for families travelling together, or a small group travelling together - 2 connecting rooms, with first room, a queen sized bed and next room has 2 king single beds plus roll out double sofa bed, your own ensuite, Freeview digital TV, fridge, tea and coffee making facilities, WiFi and access to the hotel outdoor dining and garden bar areas. 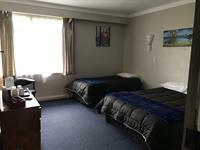 Mangakino Hotel's Double Room is ideal for more then two travelling together - there is one comfortable double sized bed and a king single bed, your own ensuite, Freeview digital TV, fridge, tea and coffee making facilities, WiFi and access to the hotel outdoor dining and garden bar areas. 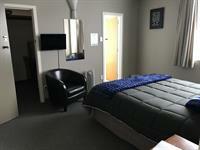 Need somewhere to stay during your Waikato River Trails experience? 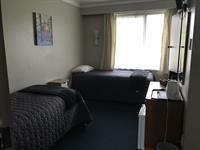 Mangakino Hotel's Single Room's are ideal for two people travelling together. 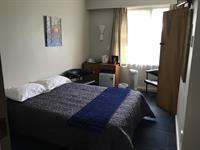 The room consists of two single beds, your own private ensuite, Freeview digital TV, fridge, tea and coffee making facilities and access to outdoor garden bar and dining area. No charges will be applied to your credit card at the time of booking, Credit Cards numbers are taken for security purposes only. Full payment will need to be made at the property.